Curacao is an island, that some call a hidden and undiscovered jewel, in the southern Caribbean Sea, 40 miles off the coast of Venezuela, between Aruba and Bonaire. The New Country of Curacao, which includes a very small un-inhabited island, Klein Curacao, is a constituent country of the Kingdom of the Netherlands. 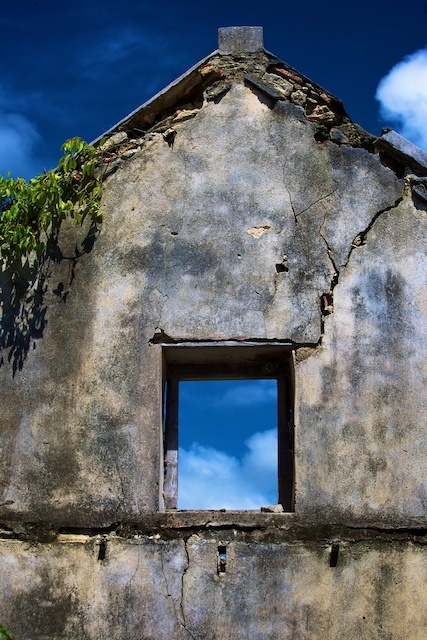 Prior to 10.10.10, Curacao was one of the five islands of the former Netherlands Antilles. 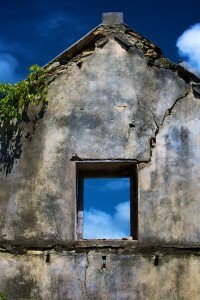 The slave trade in the 17th and 18th Century made the island affluent and let to the construction of colonial buildings. 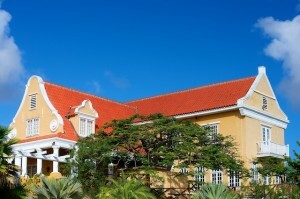 Curacao features architecture influence from the Dutch and Spanish colonial styles. The capital city of Willemstad earned a well-deserved place on UNESCO’s World Heritage list. Former plantation states – Landhuises and West African style huts are scattered all over the island. 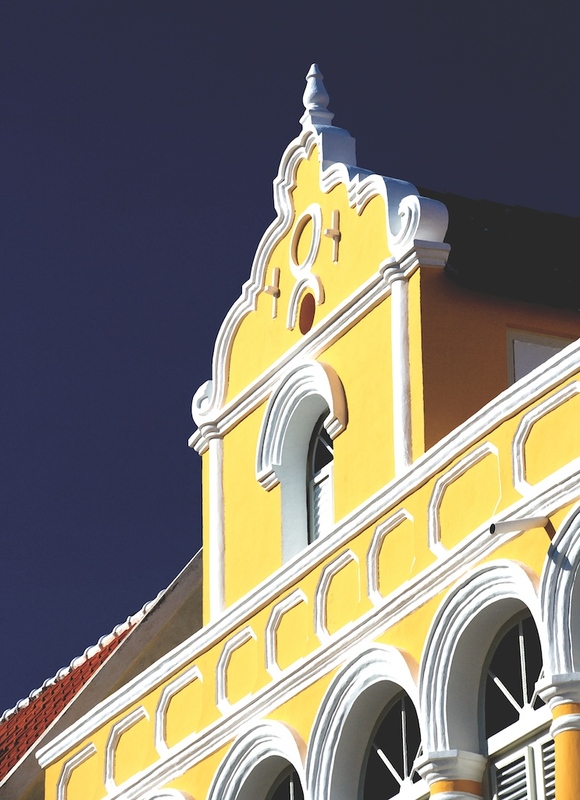 South America’s proximity to Curacao has also had a standing influence in architecture specially parts of Willemstad in the 19th Century. The combination of buildings, architecture, Caribbean colors and tropical sun light make a delight for the eye and the cameras. Late afternoon, colors become vivid and crisp, the sun turns yellow into gold and white into silver. 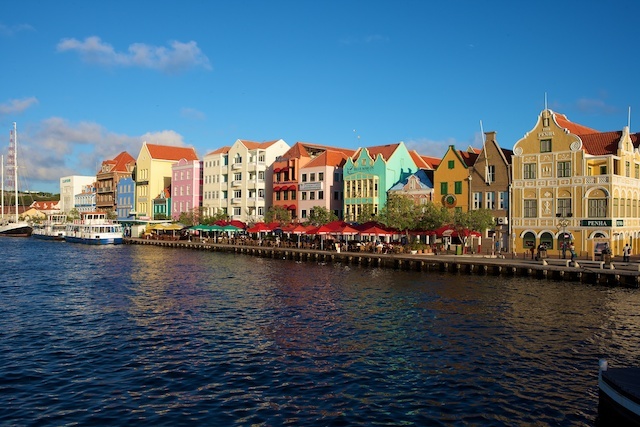 The waterfront of Punda, Handelskade, is composed by a row of buildings showcasing how individual colors can tell a story of its own. Curacao’s architecture can also be found in other parts of the island. Lots of examples are scattered all over, constantly contrasting with the blue sky. 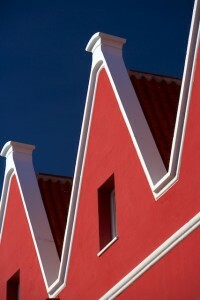 Curacao’s architecture is also influenced by other Dutch characteristics. Otrobanda, opposite to Punda, is full of narrow alleys and plazas. Beautiful gables sit on top of buildings in Scharloo, Pietermaai and Schottegat. 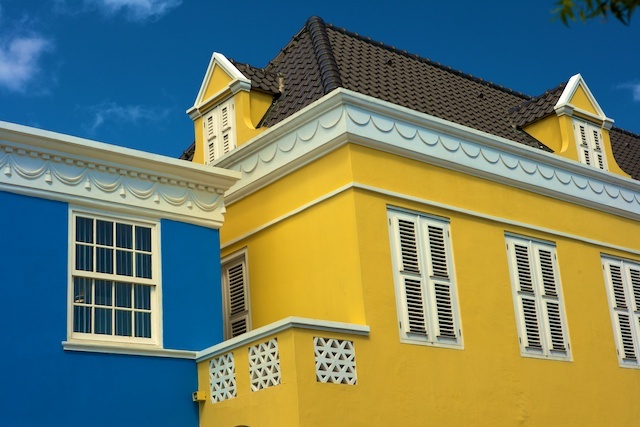 Curacao is full of architectural photo opportunities, besides colorful buildings, almost sitting on water, bridges and forts also produce fabulous images. More than 750 mansions, shop houses, townhouses and small popular dwellings give the photographer daily opportunities to let their creativity flow. There is always a story to tell while capturing images that can be turned into paintings.